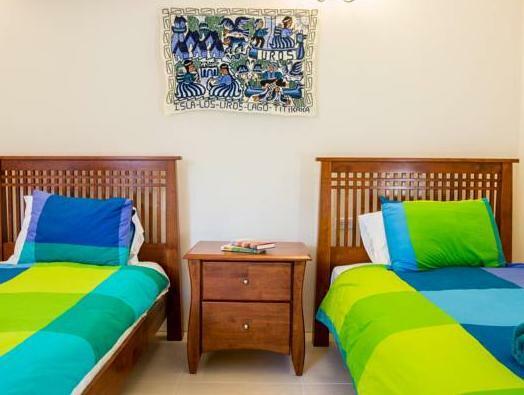 ﻿ Book Hidden Eden Aruba Bed and Breakfast, Oranjestad-West (Oranjestad) - 2019 PRICES FROM $101! Hidden Eden Aruba is a tropical enclave and features free Wi-Fi and free public parking. Its garden has chairs and desks and offers BBQ facilities. This air-conditioned rooms offer a private bathroom with free toiletries. Washer and dryer are on site and guests can use iron and ironing boards. The owners serve a typical Caribbean breakfast. A supermarket can be reached in 3 minutes by car. The property offers rental of mountain bike and snorkel gear. Scuba diving facilities are located 6 minutes' drive by car. Eagle Beach and Druif Beach are within 15 minutes walking distance. Oranjestad’s center can be reached within 10 minutes’ drive. Reina Beatrix International Airport is 15 minutes’ drive from Hidden Eden Aruba. Please note that 100% of the total amount of the first night will be charged on the day of booking. Please note that there is a cleaning fee for stays of 1 and 2 nights. Please note the property will contact you after booking to provide the full address.